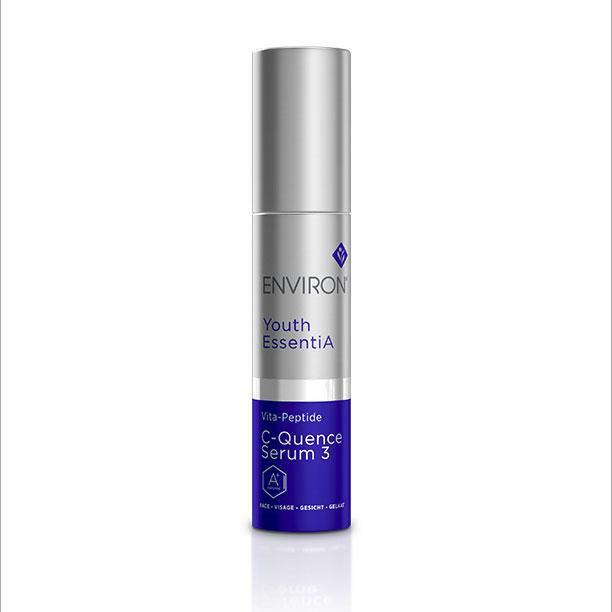 Environ C-Quence 3 contains high levels of vitamins A, C and E working effectively together to fight signs of aging. Third step in the Environ premium Vitamin program. 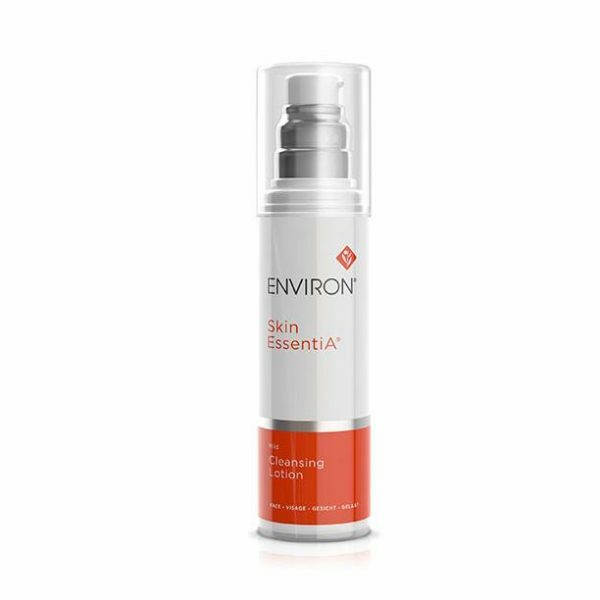 This serum has a high concentration of vitamins A, C and E. So users should already be comfortable with Environ C-Quence 2 before moving up. Additional peptides work in conjunction with the vitamins help to firm the skin and lessen the signs of aging, And this can help to produce a more youthful appearance. Signs of pigmentation, sun damage, and scars may be significantly reduced because it penetrates deeply into the skin. Above all, this serum helps to “boost” collagen and elastin. Elasticity and firmness will improve. And the restoration of skin cells can accelerate. Your skin will look healthier. 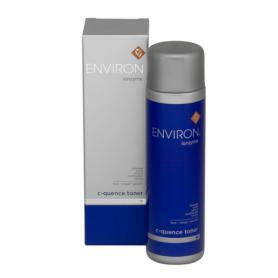 Environ C-Quence 3 rehydrates. Your skin will look and feel softer. Suitable for all skin types and all ages. And excellent for mature and sun damaged skin. Helps your skin to appear radiant and healthy. Because it’s moisturizing, the serum helps to soften fine lines. You’ll look more youthful. And you’ll have a healthier looking skin. Time for a cocktail–sorry, not a martini! Our SPA estheticians recommend mixing a “cocktail” of the serum with your Environ C-Quence Defence Creme in the palm of your hand before applying to face and neck. Please see ingredients tab for important information about Environ C-Quence 3 and counterfeit products. Pre-cleanse, cleanse and tone before applying the Vita-Peptide C-Quence Serum 3, follow with the Antioxidant Defence Creme. Alternatively mix the Antioxidant Defence Creme and the Vita-Peptide C-Quence Serum 3 in the palm of your hand before applying to face and neck. Aqua (Water), Glycerin, Ethoxydiglycol, Pentylene Glycol, Ascorbyl Tetraisopalmitate, PEG-40 Hydrogenated Castor Oil, Sorbitol, C12-15 Alkyl Benzoate, Butylene Glycol, Propylene Glycol, Tocopheryl Acetate, Ceramide 2, Palmitoyl Pentapeptide-3, Epigallocatechin Gallate, PEG-10 Rapeseed Sterol, Lycopene, Palmitoyl Oligopeptide, Tribehenin, Ascorbyl Palmitate, Retinyl Acetate, TEA-Lactate, Hydroxypropyl Guar Hydroxypropyltrimonium Chloride, Allantoin, Zea Mays (Corn) Oil, Sodium Lactate, Xanthan Gum, Glycine Soja (Soybean) Oil, Zea Mays (Corn) Starch, Rosmarinus Officinalis (Rosemary) Leaf Extract, Lactic Acid, Urea, Serine, Polyglyceryl-10 Laurate, Gelatin, Sucrose, Lauryl Diethylenediaminoglycine, Tocopherol, Sodium Chloride, Carbomer, Polysorbate 20, Lauryl Aminopropylglycine, Sodium Hydroxide, Disodium EDTA.